Is sharing your content marketing strategy across other departments and teams at your organization a good idea? Content marketing strategy. Today it seems to be a buzzword among marketers working across all industries – but just like other buzzwords, the term can be misleading. What is content marketing and how do you create a strategy for it? Is content marketing strategy the same thing as a content plan? And what about another term: content strategy? All these terms are often used interchangeably, and the lines between them are somewhat blurred, but each is slightly different and entails different type of activities. How to develop a content marketing strategy – some essential tips. Are you ready to finally take advantage of everything that content marketing has to offer? Let’s get started. To get you started, here are more detailed definitions of the terms mentioned in the introduction to this article: content marketing strategy, content strategy, and content plan. A content marketing strategy defines the reasons why you create content but also identifies your target audience for this content and how your content will help it solve a problem or achieve a goal. Most organizations take advantage of content marketing to build an audience for their product and achieve one or more of these goals: revenue boost, reduction of costs, and creating a more meaningful relationship with their customer base to increase loyalty. Content strategy is a much more hands-on approach to content. It basically describes all the activities that are part of your strategy: content creation, publication, maintenance, and management. Experts in the field often point out that a content strategy may go beyond the scope of a content marketing strategy. A content strategy is a strategy for that ensures that you manage all the content you have to maximize its value for your business. A content plan, on the other hand, is a tactical document that lays down the specifics of how you will execute your content marketing strategy step-by-step. It also assigns roles in your team and defines who will be responsible for which tasks. To build a content plan, you need a content marketing strategy. It serves as a valuable point of reference and ensures that you avoid the pitfalls of content marketing which is what happens when you’re creating content without a plan. A content plan includes information such as the key topics you plan to cover, the types of content you will create, indications of how you will be sharing your content like the social media platforms you will use, as well as the specific Calls-to-Action your content will include. As you can see, content brings the best results when it’s created and managed in line with one central roadmap: a content marketing strategy. That’s why it’s critical that you come up with a content marketing strategy and then document it. It needs to have a form that will make it accessible to anyone involved in content creation or management. A documented content marketing strategy makes organizations more effective at content marketing, especially in the use of content marketing platforms and social media channels. Moreover, a documented strategy will help you get buy-in at your organization and justify spending a higher percentage of your marketing budget on content marketing. Your content marketing strategy should provide information about your critical business and customer needs, and outline a plan where you define how you will use content to address each of these issues. First, your strategy needs to state your business case and outlining the reasons why you plan to create content, but also risks involved in your project and what your vision of success looks like. By including all that, you’re much more likely to get buy-in and executive support for your strategy successfully. Naturally, it’s best to leave some spaces open to experimentation and figuring out what works best for your business. That’s why it’s smart to refrain from making promises that are set in stone – instead, commit to a regular and detailed measurement of results, stating which tools you plan to use and how you’ll know that your content marketing is going in the right direction. This point outlines your objectives for content marketing and the kind of value you want to provide through content. This is also the place to put the details of your business model and inform the readers about the obstacles and opportunities you may stumble upon when executing your strategy. This part is all about the target audiences for whom you will be creating content. It’s a good idea to define what their needs, preferences, and desires are – and what their content engagement cycle looks like. At this point, you can also map out content you will be delivering throughout the buyer’s journey to help bring them closer to the goal. You can show how each content type will contribute to every step in the buyer’s journey. A brand story is the core of every branding activity. 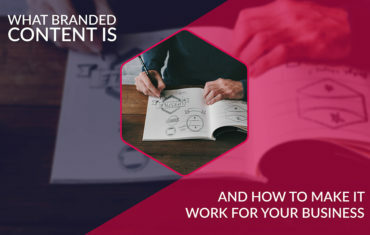 But in your content marketing strategy, a brand story is only relevant as long as it helps you to develop a message and vision that you want to communicate through branded content. Show how your message stands out from your competition and define the kind of impact you want it to have on your target audience. Make sure to include a list of platforms you will be using to tell your story. You need to create a coherent brand messaging – and to do that, you’ll have to make sure that your objectives and criteria are the same for every channel you’ll use to spread your message. By developing a content marketing strategy that includes all the elements, you’ll ensure that all the people in your team are well-informed about what content marketing means to your organization. But that’s not everything. Content marketers often find it difficult to convince others that content marketing brings impressive results. 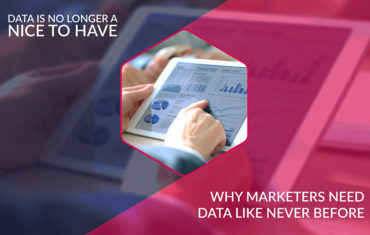 That happens because they often fail to prepare a documented version of their content marketing strategy and never bother to implement tools and processes that allow measuring the effectiveness of content for marketing and sales. 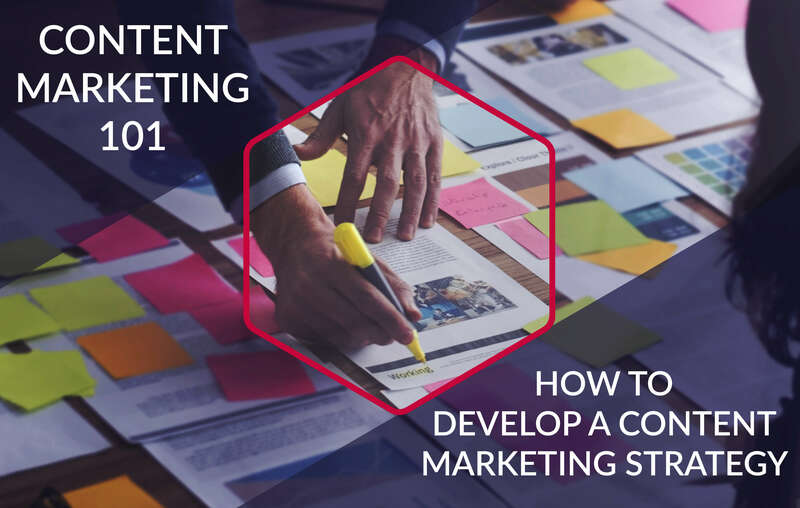 A documented content marketing strategy will allow you to get buy-in from supervisors and executives who are bound to ask a lot of questions before investing your content marketing program. 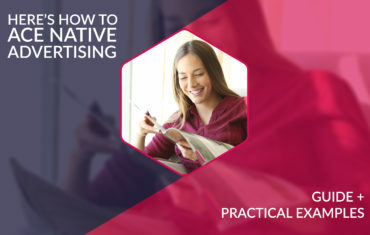 Present them with a comprehensive document that lays out your strategy step-by-step and shows what activities you’re going to carry out, how you will measure the results, and what kind of impact you expect to make on your target audience. In general, it’s beneficial to give everyone access to your content marketing strategy, even if not everyone will be directly involved in your process. That’s especially important if you work at a large organization where teams are kept siloed. By keeping your marketing and sales teams on the same page you’ll be on your way to avoiding duplicating efforts and ensure that everyone is working towards the same objective. If you outsource any part of content creation and distribution process – for example, social media management – it’s essential that you share a documented strategy with your outsourcing partner too. Expert tip: There’s no need to share your full documentation with every stakeholder. In fact, most of the time it makes sense to create targeted summaries of your content marketing strategy. An external agency and a busy executive will expect different things when asking about your content marketing strategy. Consider how your strategy will impact their roles and processes to decide how much detail you want to include in your summary. While some parts of your content marketing strategy should stay the same as your organization grows, there are some things you’ll need update regularly. If you’re wondering the permanent elements, we’re talking about your mission and business objectives. These things are the core of your business strategy. However, there are many other aspects of your content marketing strategy that should be reviewed and updated to make sure that your strategy is relevant. Revise your core content marketing topics and channel strategy at least once a year. If you’re just getting started, it’s smart to do that even more often. Now, at the beginning of this article, we said that there exists no universal recipe for a successful content marketing strategy. Fortunately, marketers have something very close to that. Joe Pulizzi is a pioneer of content marketing, and his book Content Inc. is an excellent study of making content marketing work in any organization. Pulizzi divided the process into six simple steps, helping content marketers to launch and monetize businesses all over the world. This book is much more than just content marketing roadmap – it’s about business development and driving innovation. And we all know the traditional entrepreneurial models aren’t enough to drive growth in the current economic reality. In the next parts of this series, we will take a closer look at each of these elements to bring you a comprehensive outline of battle-tested content marketing activities. Most of the time, it’s not enough to develop a content marketing strategy. You also need to sell it throughout your organization, get buy-in from critical stakeholders, and convince your supervisors that investing in content is a good idea. That’s why creating a documented content marketing strategy is such an excellent method for ensuring that you receive support from your company and giving your team a central point of reference when contributing to your content marketing projects.